We’re still experimenting with new cladding options for the front facades of these two 4Plexes, but we’re pleased with how the design is coming together. The DP drawings will be submitted to the City soon! 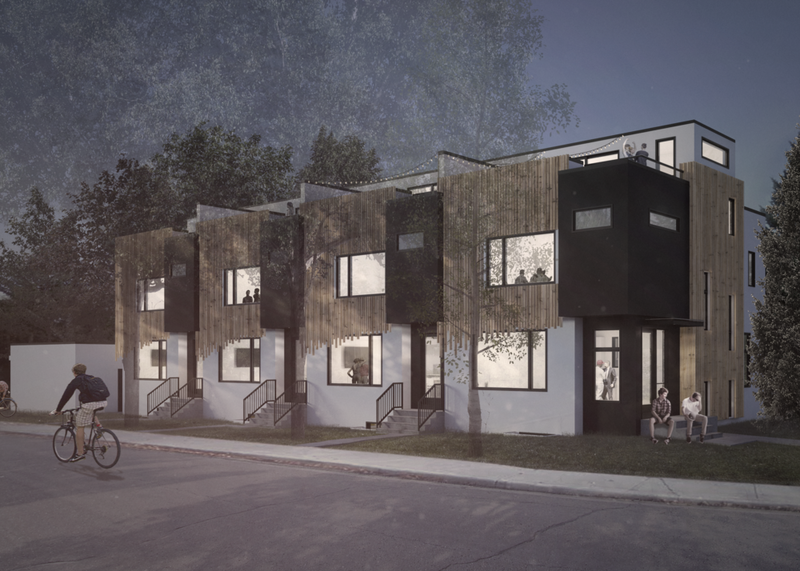 A new rendering of the Bridgeland Trio, with colors and materials closer to what is being built. Here is a more polished rendering of the Altadore Townhouse project. Construction documents are being finalized, and the BP application will happen in the next few weeks! The Development Permit for this new custom single-detached home took 5 short weeks from submission to release, just in time to start construction before winter! 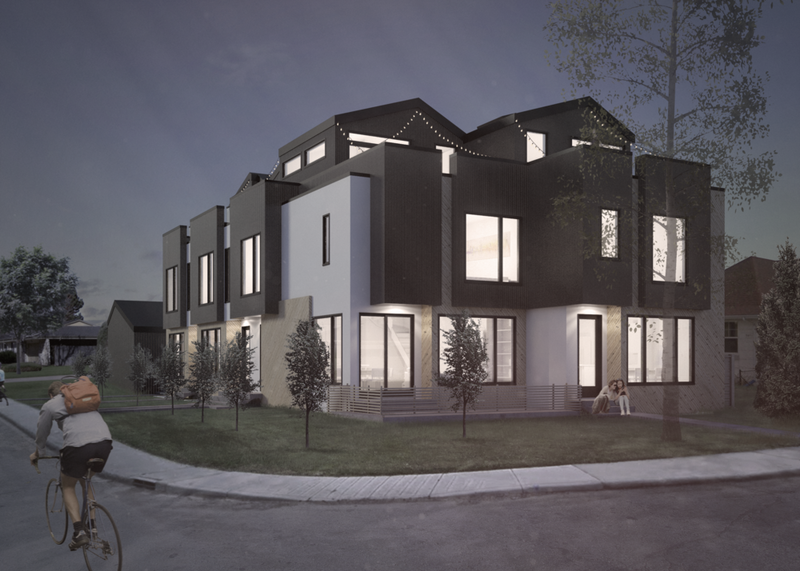 The Development Permits for this trio of houses in Bridgeland were just submitted. Final decisions on the colors haven’t been made yet, so we picked some fun colors for these renderings. The old house has been hauled away and cribbing on this new single in Renfrew is starting this week. We just got DP approval on this new contextual single in Altadore. We’re looking forward to seeing construction start! Framing will be finishing up soon on this new single in Altadore. Our experiments with wood paneling and easy-trim continue with this new single in Renfrew. The DP for this new single in Bridgeland was just approved, and construction will be starting in the next few months. The downtown views from the 3rd floor are going to be spectacular! This residence is one of two identical, neighbouring contextual singles currently under construction in Mount Pleasant. We really pushed the limits of the bylaw to get these 3-storey Richmond Singles approved under the contextual rules, but we got them through, and construction is now well underway. This rendering is of a single family home in Edmonton, currently under construction and nearing completion. We’ll try to get some photos of the finished house up soon!